Happy Monday! I am sharing my first guide of the holiday season. I tried to stick to items that would be great gift giving from jewelry, gloves, scarves, etc. Some of the items are below $50. These Pommed Gloves are only $32. This Quilted Puffer Vest is only $29.50. 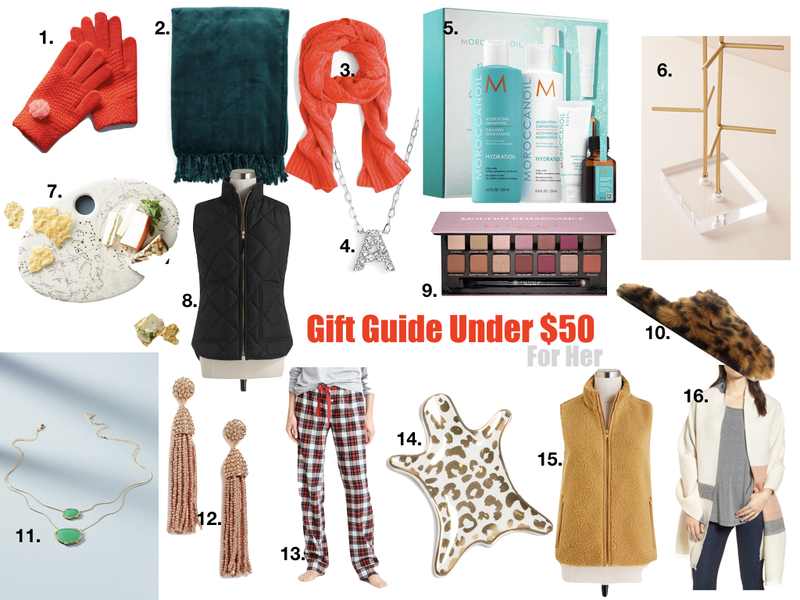 Let me know if you like gift guides like this, and what other gift guides you all would like to see :) Obviously the next gift guide will be Gift Guide Under $50 for him.